Among the weirdest of the 'odd Corys' is Scleromystax lacerdai; first bred in Scotland in the early nineties by long-time fishbreeder Jim Makin. This is indeed an odd-looking 'Cory': it's very, very elongated. If you think about it, in profile, a typical cory is about 30% head, 30% caudal (tail) fin and around 40% body. S. lacerdai, on the other hand, is about 20% head, 20% caudal fin and 60% of a long, low, cigar-shaped body. Originally given the C-number C015, it was described by German aquarist Harro Hieronimus in 1995, and named to honour the leading ornamental fish collector Marco Lacerda. Marco collected the fish in the State of Bahia, specifically in the Rio Ribeira da Terra Firme, near the towns of Canavieiras and Ilheus. This is a small Scleromystax and is unlikely to get larger than 60mm. At an early meeting of the UK's catfish study group I was sitting next to Jim (Scottish Aquarists, rather like Corydoras, tend to shoal together) listening to a talk being given by Harro, and a slide appeared showing the audience S. lacerdai. I didn't need to look at Jim to sense he was on the edge of his seat. Just before Harro was about to move on to the next slide, and Jim was just barely touching his seat, Harro told the audience that this unusual 'Corydoras' had never been bred in captivity. Like a submarine missile emerging from the water, Jim leapt up and said something to the effect of 'I've done it!'. It was a classic fishkeeping moment which managed to be at once hilarious, educational and inspiring all at the same time. Harro continued his talk, but much was discussed around this species and others that weekend. I attend the same convention these days and now the international interaction of specialist catfish breeders is a given. 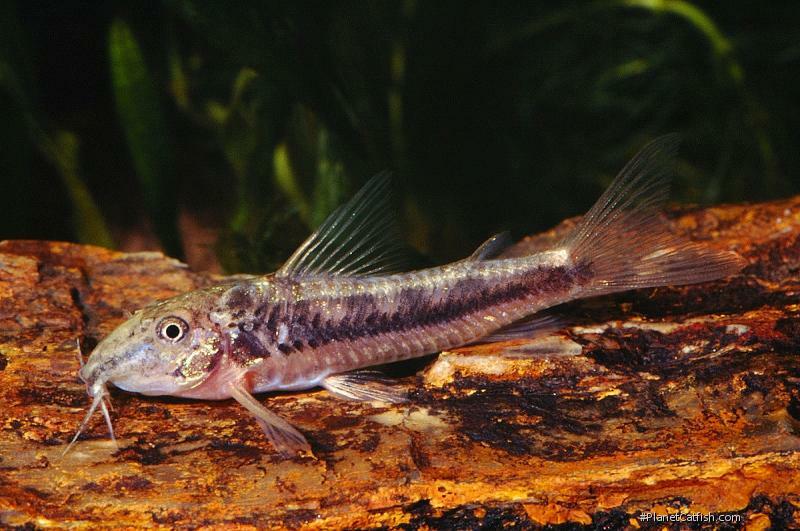 It's just something the catfish-keeping community now does — to my mind, it is interesting to remember that this 'odd cory' Scleromystax lacerdai, combined with modern technologies like email and web-sites, was perhaps the catalyst of international co-operation between catfish breeders. For Scleromystax in particular, this is important, as these species are relatively easy to breed but with very, very sparse imports from the wild, there is an increasing worry it might be the last.